The news is out that Panasonic will be discontinuing the Technics 1200 turntable, one of the most important pieces of musical equipment in the history of mankind. This is the turntable that generations of Hip Hop DJs used to sample, scratch and cold rock a party til the break of dawn. It was there from day one and has been the weapon of choice for just about every DJ who has ever mattered in the game. The turntables have been around for more than 35 years, and are featured in the London museum of Science and Technology as an important step in how music has been played and presented over the last century. Their popularity has ensued due to their tank-like construction, high torque and effective insulation from acoustic feedback. 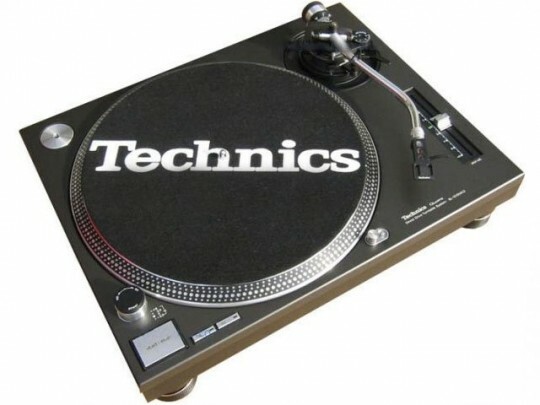 The Technics 1200 or Tec 12 came out in 1972 and has since sold 3 million units. As far as its importance to the creation and legacy of Hip Hop music, its only peer in this regard would be the Roland TR808 Drum Machine (“the 808”). DJs now are making more use of MP3s and compact discs for live shows. In addition, Hip Hop music itself has shifted away from soul samples lifted from crates full of records and you certainly don’t hear any scrathing or cutting these days. There are a lot more studio tricks, synthesizers and vocoders (unfortunately) in the mix these days as rap singles are made for new formats like the ringtone market (we won’t get into this disturbing development here). So Panasonic will be retiring the old Tec 12 workhorse for good. Those of us who were there from the beginning or have ever manned the decks on stage or at a house party will never forget it. I was in elementary school with “Chuck D” (Carlton Ridenhour) of “Public Enemy.” As you probably know – much of the sampling and mixing on the Public Enemy records was done by the “Shocklee” brothers – (whose names were actually Boxley) aka “The Spectrum City” sound. All of these guys are from my hometown, and I grew up with “original” hip hop from the beginning. A lot of good times came out of those turntables !!! TRB: That’s funny, Flav came up in the town next door to mine. good times indeed.